Today we’re studying a clip from a short film called A Quiet Night. This film was made in New Zealand in 1999. Unfortunately I don’t know where you can watch the whole film, but there are a few interesting expressions to study in this excerpt. A guy in the film yells out to a taxi, and he yells: Oi! Oi is an informal expression used to attract somebody’s attention. And I think it’s often used in an angry way – for example if you see someone doing something that they shouldn’t be doing, like breaking into your car, you could say:Oi, what are you doing?! So the guy in the movie gets into the taxi and he asks to be taken to Lyttelton, which is a small town near Christchurch. And the taxi driver says: Right you are. Right you are is an old fashioned idiom which is used to show that you accept a statement or an order. I’ll have two glasses of orange juice, please. It means the same thing as OK or sure. 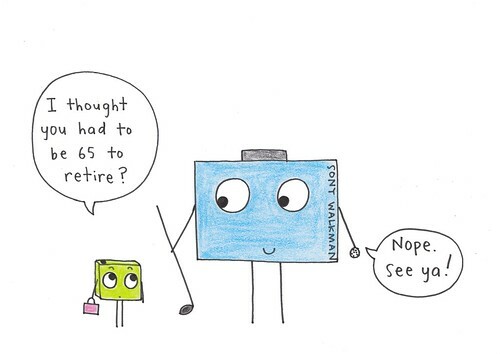 Kia ora in Stick News today the Japanese Walkman has retired. 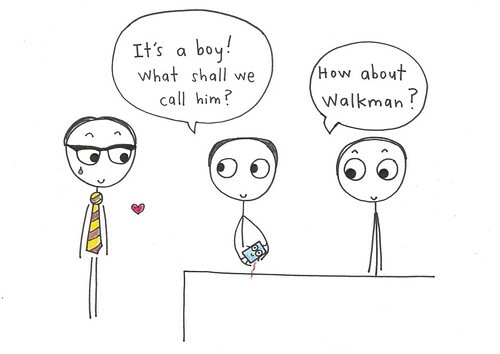 The first Walkman was built in 1978 by an engineer in Japan. Since then Sony has sold around 200 million units. Sony has announced they’ve stopped producing The Walkman in Japan and sales in Japan will end once the last batch disappears from the stores. And that was Stick News for Tuesday the 26th of October. It’s a boy! What shall we call him? LOL! Is that an LP? 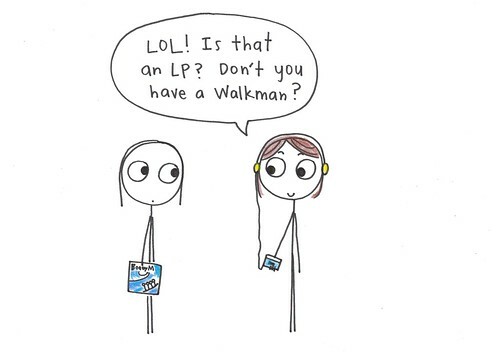 Don’t you have a walkman? I thought you had to be 65 to retire? Wakey-wakey is an informal exclamation which is used to tell someone to wake up. Come on mate, wakey-wakey, nearly home. So if you’re a student, or a teacher, the next time someone falls asleep in class, try poking them and saying: Wakey-wakey! #865 Where was it made? Step 1: Repeat Jimmy’s lines. Step 2: Read Jimmy’s lines and talk to Sarah. Sarah I did some work on that film. Jimmy Really? What did you do? Jimmy Where was it made? Sarah In Christchurch. I was studying journalism there at the time. Jimmy Did you see the finished film? Sarah Yeah, I did. I saw it at the Civic actually, it was during the film festival in 2000. It was quite cool seeing my name in the credits at the Civic. Looks like something pretty serious. Warm night for this time of year. Come on mate wakey-wakey, nearly home.